Fashion Model Collection. 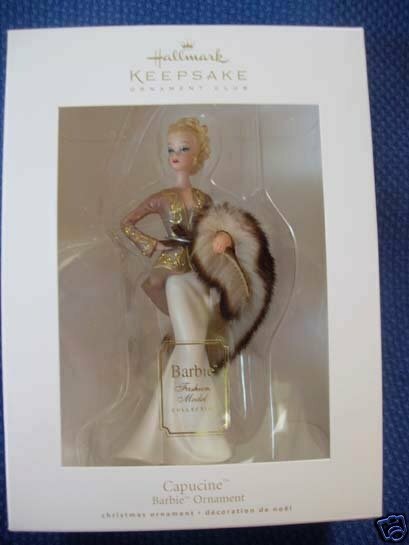 2009 Hallmark Keepsake BARBIE CLUB ORNAMENT called CAPUCINE. This ornament was only made available in Limited Quantities to the members of the Keepsake Ornament Club, KOC, at the Ornament Premiere in July & sold out in most stores in 1 day. 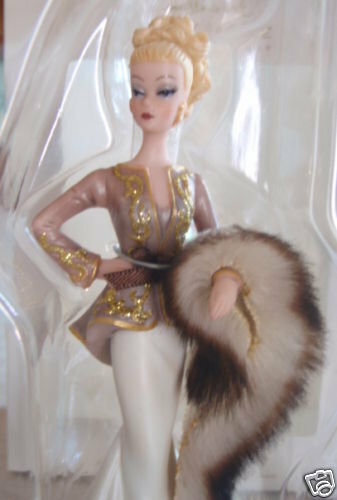 Items Similar To "2009 Hallmark CLUB Porcelain CAPUCINE BARBIE ~Christmas Ornament~"